With a nod towards my own podcasting setup, here’s a look at my current podcasting kit. 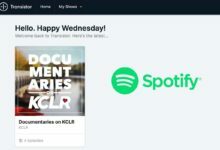 Note: This post was first published in August 2018 and has been updated to February 2019. This is a mixture of studio gear (when everything is at home) and portable gear. I will list everything out below and break down the variations in the setups for the different recording scenarios. Note that this post contains product links to Amazon; they’re affiliate links. You shop, I *might* get a tiny percentage back from Amazon. If it ever happens, I’m likely to add something to this list. If there’s one thing that can let you down on your recording, it’s microphones. 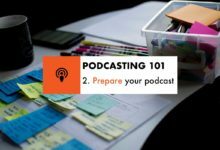 Poor quality microphones, or poor microphone technique, can be the death of your podcast recording. While it’s not always possible to invest a lot of money into them, you can get good bang for your buck. For the studio setup, I’ve been using the B-1 microphone the best part of 10 years. 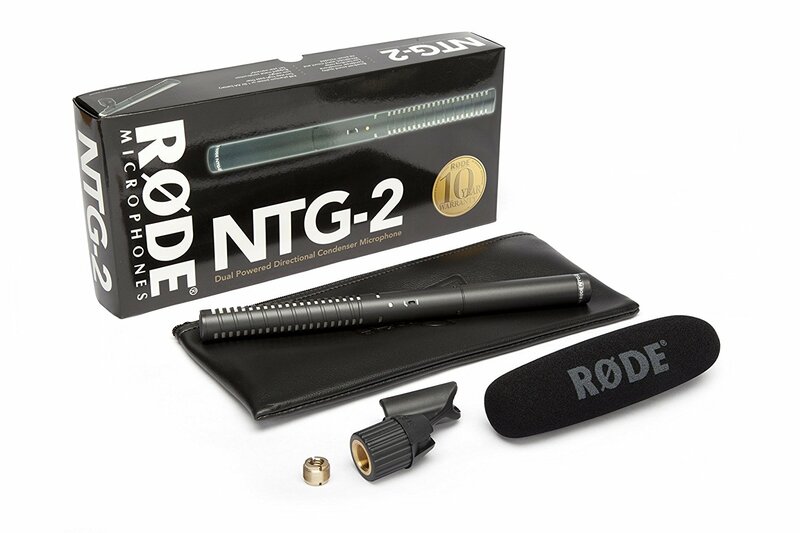 I’ve been meaning to upgrade it, perhaps pick up the Rode NT1 kit, Rode NT2-A or the Rode Procaster. But if it’s not broken, why fix it. The B-1 is an affordable single diaphragm condenser microphone and all those years on is still retailing around the €100 mark. The rock and roll industry standard for vocal mics. While I use the B-1 in a studio setting as the lead microphone, if I’m out on the road or have other guests in studio, I’ll use the SM58s for all vocals. 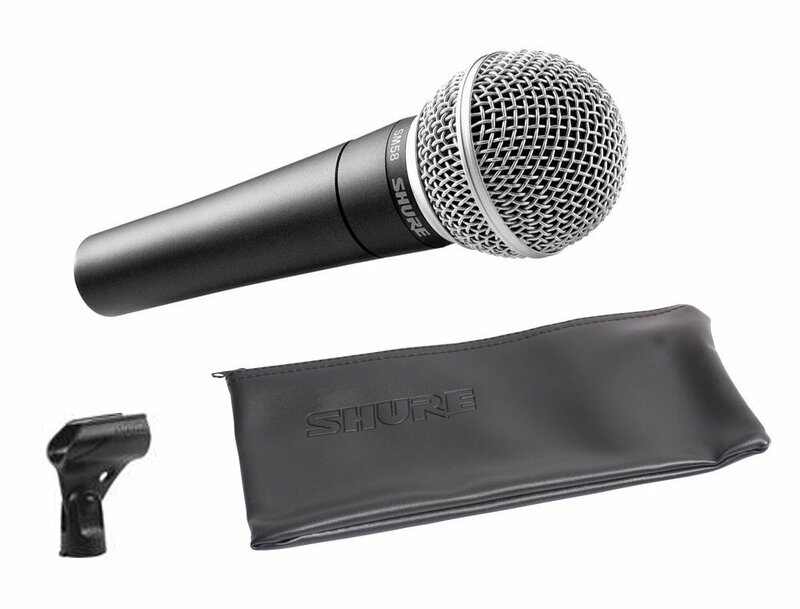 I would hazard there isn’t a gigging musician, broadcaster or DJ around who hasn’t used the Shure SM58 vocal microphone. It’s tuned to accentuate the warmth and clarity of vocals, it’s rugged and reliable. Depending on where you shop, budget around €100 to €120 per unit. If I’m doing one to ones with the Zoom H4 (below) or I’m taking out the camera to record, I’ll have the Rode NTG2 with me. It’s a shotgun condenser mic that’s more suited to film, video and voice over work. It’s also great for use as a boom mic or recording at distance. 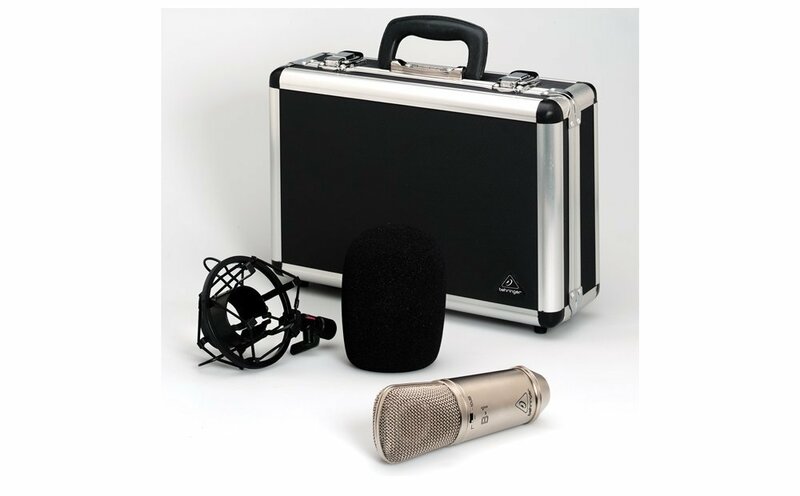 The standard kit includes long foam wind shield, zip bag and mic clip and if you can get phantom power from your device, an AA battery will see you sorted. 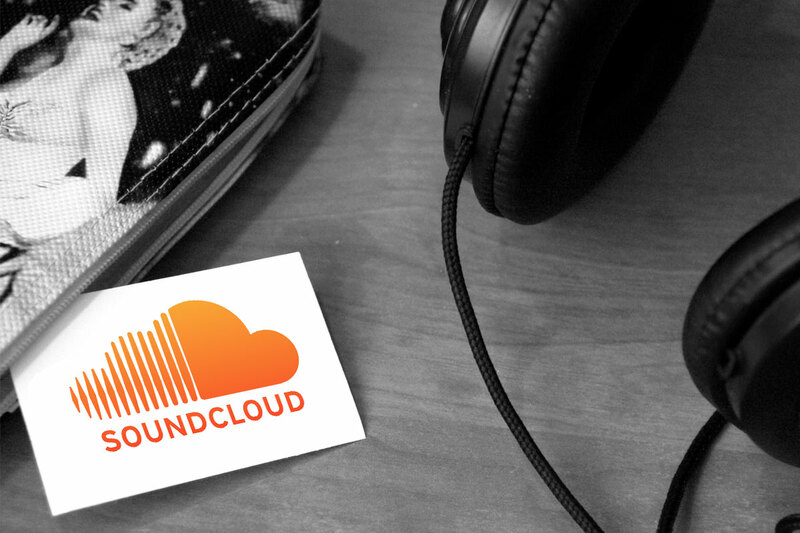 Have a listen to the vocal sample below from Rode. Shopping-wise, you can pick up the Rode NTG2 on Amazon for around £165 / €185. If all else fails, or you’re really on a budget, Thomann do a 3-piece kit of dynamic T.bone MB 60 own-brand microphones priced just over €20. I’ve had them a few years now, they come in their own case, get flung into the bag and are handy to have as spares. Nothing fancy, but you can always look to your post production to add a bit more warmth. For recording devices, I’ve got a few options at my disposal, depending on the size of the group being recorded. 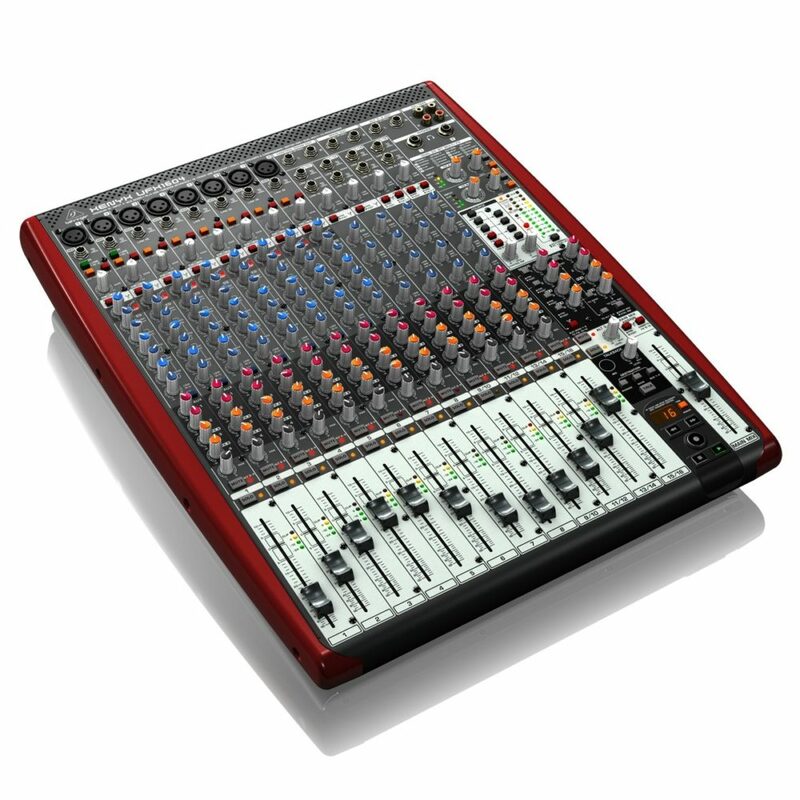 I picked up the Behringer UFX1604 in June 2017, on the lookout at the time for a desk that would also serve as a sound card. Not only does it serve as a sound card, but thanks to the USB/Firewire interface, it’s 16 channels in, 16 channels out. A lot of desks, via USB connection, are still 2 channels out meaning you’re recording in stereo. But if I get four or five people around the table, and need to patch in the laptop, add some guests on Skype or Messenger, then I’m able to route the lot through the desk and record the channels individually. You would really want to have a use for the UFX1604, or a similar size desk, before spending the €600 or so it will cost to sit on your desk. Overkill at times, it’s a tidy piece of kit and has served me well to date. Update: I’ve seen the price (as of September 2018) has been cut to around €300 – I can’t be sure but I’ve a feeling it’s on the way out. Amazon haven’t cut it as much, but have it retailing around €450. I spent years working with Pro Tools, first with the old Digidesign Mbox 2 before moving onto the Digi003 rack (still have it). In 2016 I picked up the Avid Fast Track Duo, again, a tasty piece of kit. Avid’s hardware moves quick enough so it could be gone again at this stage. 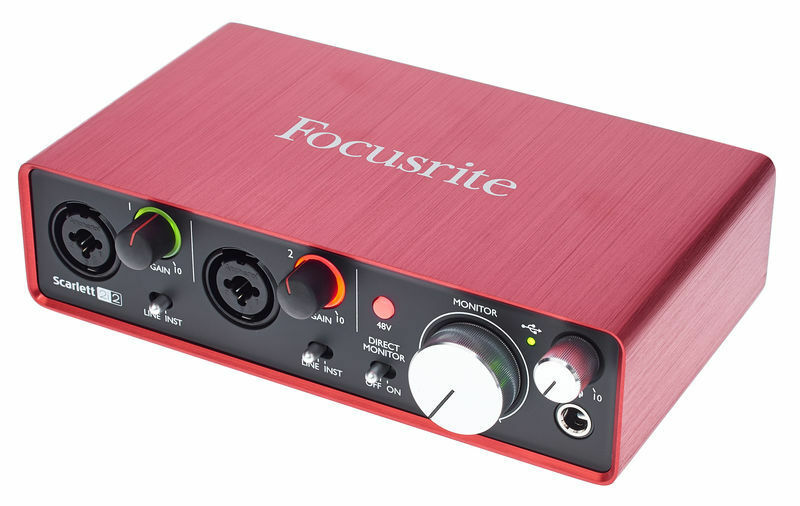 As an alternative, the FocusRite Scarlett 2i2 is readily available around the €110 mark. 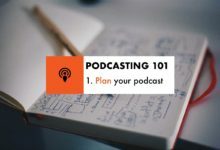 If you’re podcasting at home or you’re happy to travel with your laptop, it’s a light one to have in the bag. You get two XLR/TRS inputs, two outputs, phantom power, and separate headphone monitoring. Nowadays I’m using it to field auxiliary feeds from the UFX1604 to help record VOIP calls and interviews. 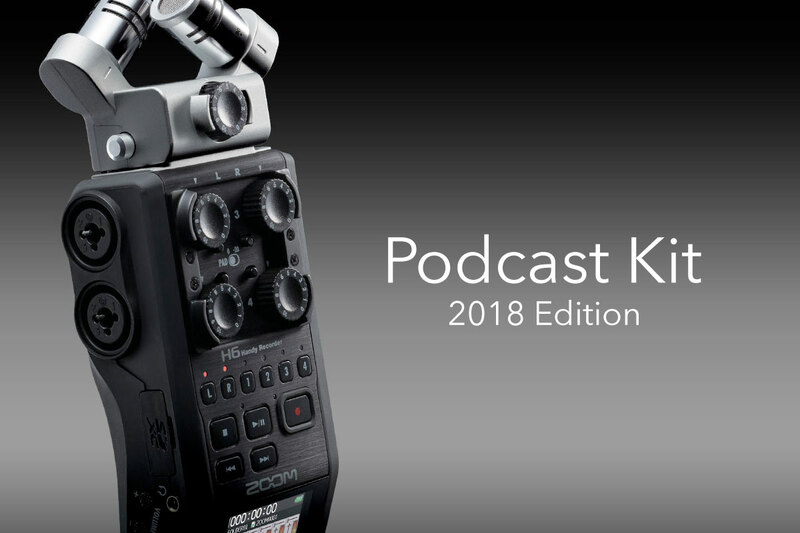 The Zoom H6 (added August 2018) is one of my more recent additions. I outline the whole thing here. Before I had the Zoom H6, I’ve been using the Zoom H4N. Some of the location recordings for The Arts Show Podcast early episodes are recorded using the Zoom H4N. It records in WAV or MP3 to SD card, gives you 2 XLR inputs, a stereo mic and an external mic port. It’s a relatively quick load and can be used in almost anyone’s hands. I do recommend using the pop shield and headphones when you’re recording, you’ll save yourself heart ache in post. The original H4N has been discontinued and replaced with the H4N Pro. 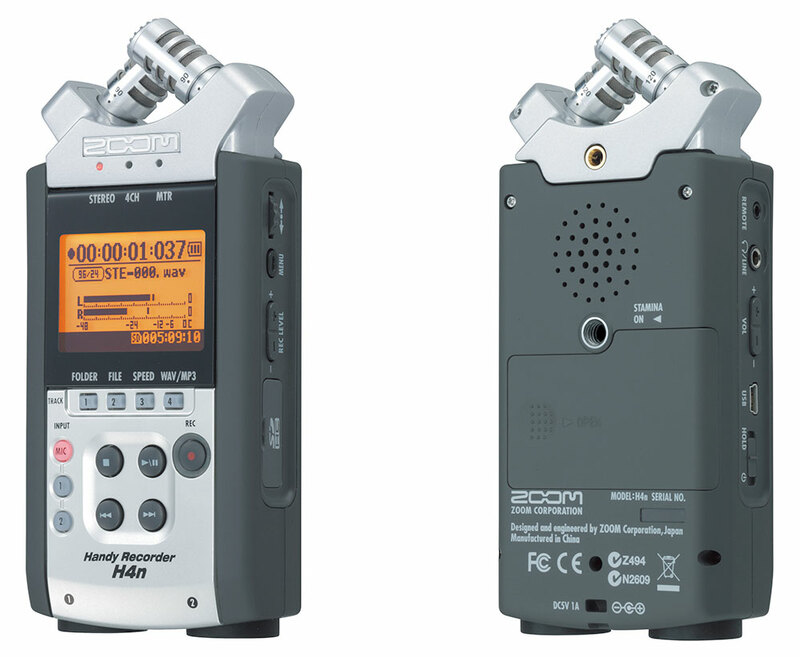 If the H6 is out of your budget, or beyond your production needs, you can pick up a Zoom H4N for under 200 quid. 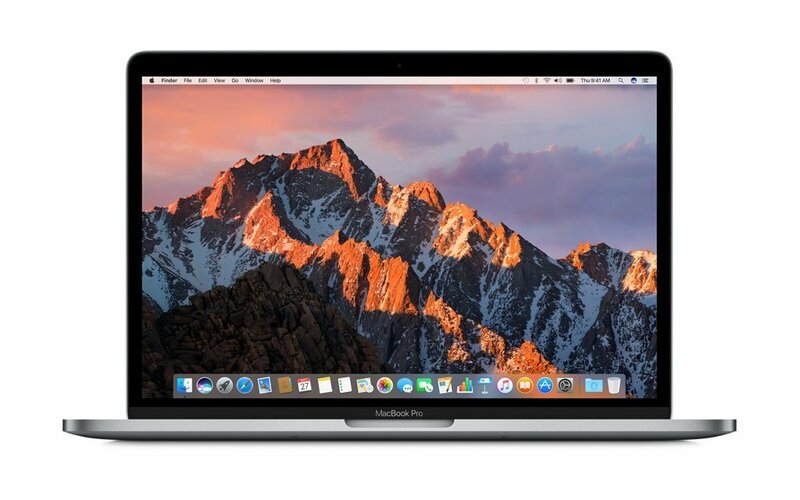 The MacBook Pro is the hub of everything post-production, and has been for years. I use an early 2015 MacBook Pro Retina, 13 inch. Software-wise, the majority of my post-production for podcast production is through Adobe Audition CC, available with through Adobe Creative Cloud. I go through more podcast editing software here. 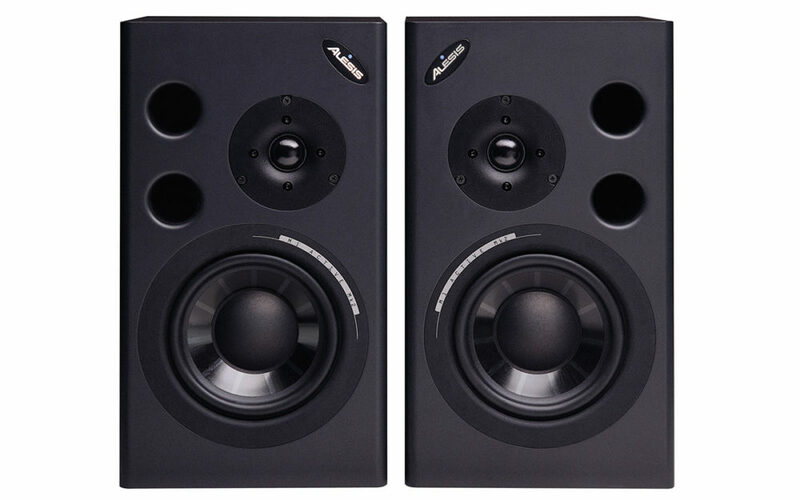 My home studio monitors are an Alesis M1 Active MKII pair, since discontinued. They’re biamplified reference monitors that produce a broad, extremely flat frequence response, clear imaging with a wide sweet spot, along with detailed high and mid-frequency response that’s on the money. The upgraded MK3 models are also available. 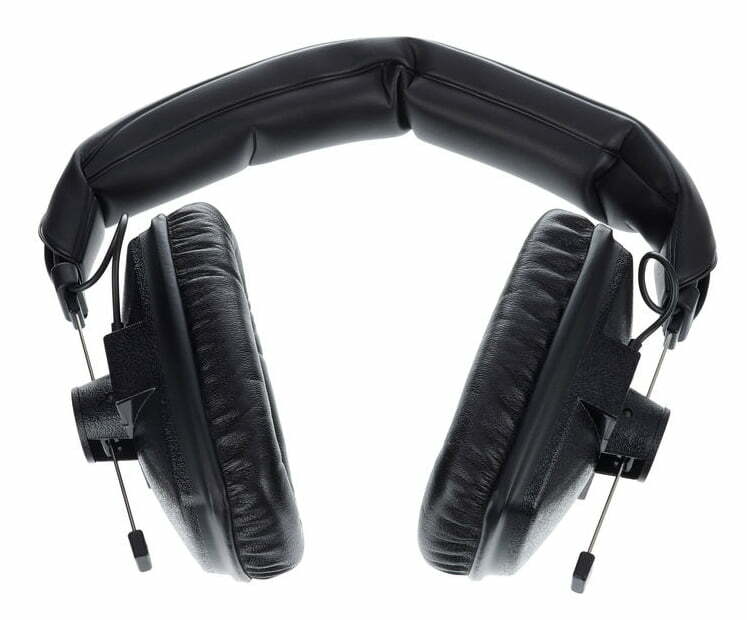 The DT-100s are fine set of headphones if you’re looking for something studio friendly. I use them for radio work and home studio work but they’re used the world over for monitoring purposes. There is a slightly more expensive DT-250 model that brings more comfort and some better quality components, but at €130 they’ll do me just fine. While I’ll put money into my own headphones, I keep 3-4 pairs of Numark HF125s for guests and contributors. They’re cheap as chips, do what’s needed and are under a tenner a pair. If you’re doing round-table recordings, a headphone amp should be a must. It will fit in a mic pouch, does need power, but more importantly allows you to split an input four ways. When I’m using the H6, I’ll feed the headphone out from the H6 to the input in the amp, allowing myself and my co-hosts to all hear the same feed. 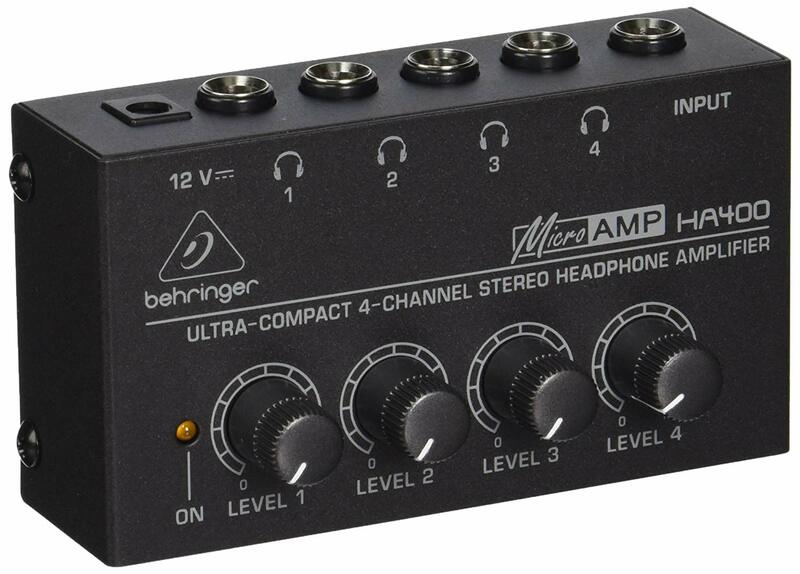 Oh, it’s the Behringer HA400 Microamp 4 Channel Stereo Headphone Amplifier that I’m using and it will run you around 20 quid. Depending on the recording set up, I may bring a number of mic stands for the SM58s with me. 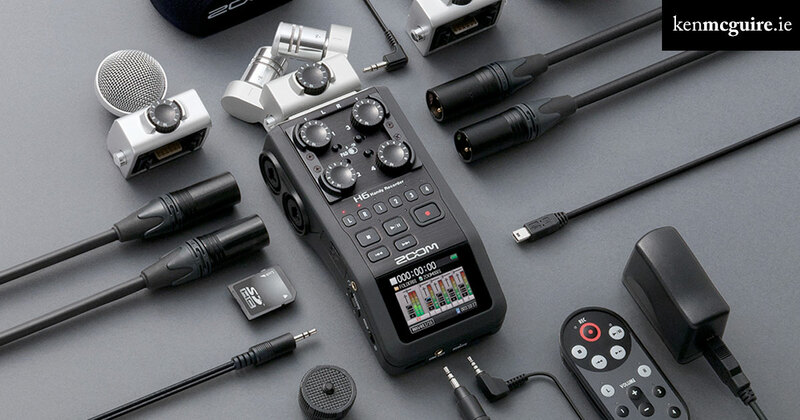 For post production from the Zoom H6, it’s just a case of removing the SD card and transferring the contents to the Mac. You can also transfer straight from the H6 via USB cable. You can go as big as you want or as small as you want, but for now, this is the kit that suits my needs. If you’ve got something different, or you would like to include a link to your own kit here, drop me a line or leave your details in the comments below.